Hello fellow traders! Welcome to the 26th edition of the BinaryToday.com income report. In this monthly series of reports I walk traders through my personal trading process and provide real insight into the amount of money I’m earning. This monthly report keeps me focused on being transparent and attempts to be a source of motivation for the entire binary trading community. Today I will update you on the progress of my 300K goal, my current live trading method and much more as we approach 2017. I will be uploading a new live trading session sometime next week and adding it to the report so please come back to check that out. Also, if you haven’t taken advantage of the Black Friday Binary Options Sale it’s still available. After receiving such positive feedback for reactivating all the coupons I felt like everyone should get the opportunity to sign up. So, as many of you already know this year I set a lofty goal. I wanted to earn 300K from binary options and at times I wasn’t sure if I was going to achieve this goal. I’m happy to announce today that I have surpassed the 300K mark a month in advance. I want to thank everyone that helped push me and support me throughout this journey. You know exactly who you are! Now that this goal is accomplished I’m left with an emptiness that needs to be filled. I need a new goal and I’m really not sure what it should be. I’ve had a few suggestions and maybe you can leave a comment with your thoughts on what my approach should be next year. Here are a couple ideas already being shared to me through email. Take a $1000 account to 100K. Take a $250 account to 50K. What do you think I should do? Let me know! Well, I probably bored you with my 300K journey so let’s jump right into the good stuff. I know this is why everyone reads these reports so lets breakdown the earnings. Now is the time we dive in and take and discuss what these numbers mean and how it all happened this month. This month my earnings dipped nearly $7000. A big part of this is due to the fact that I knew I was approaching my goal and so there was very little pressure to trade. I certainly perform much better when there is pressure, like an all-star in the big game. I’m sure some of you are the same way. That’s why settings goals can be a very motivating tool. My main focus remains spread between Binary5 and Binary Today Trader placing trades with the top rated binary options brokers. Last month I introduced a strategy in my October 2016 income report where I use a Momentum Indicator to help verify trade opportunities. I’m happy to say this method is still providing stellar returns. While the report shows a lower income I actually traded much less and was much more efficient achieving the highest ITM% I’ve reached in months. Writing that makes me realize that I probably should have put the pedal to the floor and traded a little more but I’ll use that as motivation for next month. Momentum Indicator showing good PUT trade opportunity. 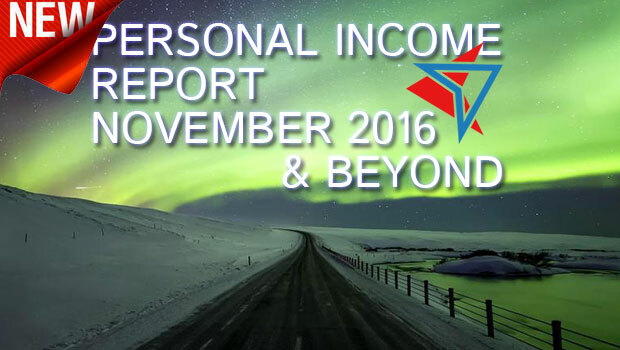 Pretty self explanatory, here is an up close look at the last 12 income report results. Here are the 3 last months success rate for each binary system that I trust. Finally, I decided to add a Binary5 monthly earnings to this report so we can see how profitable the #1 system in the market has been since it’s recent release to the market. Well, it’s time to finish up the 26th edition of the income report. Considering it’s Friday night I really need to get off of the computer and set some time aside to relax. As always, please click Like Page on the right hand side here to follow along on Facebook. I appreciate you coming by today and hope that hitting the 300K goal inspires some of you to start trading today! So that’s it for today, remember to check out the Black Friday Sale while it’s still up for the next few days and feel free to leave your congratulations. Hi John.. I just learned about Binary trading a few days ago.. I would like to learn and also start making lots of money like you and everyone else in this group. Please advise on what I need to do in order to get the training and be like you guys..I’m in South Africa and want to see a change in my finances come 2017. I can’t open the files in the free software (Trade Assistant, Detector & Booster) and MT4 provided for beginners. I couldn’t download WinZipper, and the free WinRAR that I downloaded didn’t work. Guys, kindly advice which software do I need to update, download or buy in order to access these binary trading software and the likes of Binary5. I have not updated the OS on my laptop to Window10, please let me know if I should do that. I’m sorry for posting this here, it’s a matter of urgency because I want to start trading early next year. Thank you all and wishing the BT community a prosperous 2017. Hi Kolawole, you shouldn’t have to download any zip program. If you have Windows from the last 5-10 years you can open zip files without any issue. Hi John and congratulations on your trading success of surpassing the $300,000.00 goal. As you may have notice, many traders including myself are interested in the turning $250.00 into $50,000.00, as the next challenge/goal for next year. Have you made a decision which goal you want to pursue for the start up for next year? When do you think you will have an answer/decision on the subject? I look forward to starting the New Year with much anticipation to achieving my trading goals of turning $250.00 into $50,000.00 and when my goal is completed my next goal would be to take $1000.00 and turn it into $100,000.00. Can’t wait for the start of trading in the new year! All the best success in 2017!!!!! Hi Robert, probably the first week of January is when I’ll have this update for everyone. I’m leaning to your suggestion since I’ve received a lot of positive feedback. I ordered Binary 5 after reading your last income report and I’m happy to say that it’s worked very well for me. I gave up on my dreams of overnight millions and now make enough to take a few days off of work so that I can trade even more. What you have done is amazing, and I appreciate everything you are sharing. I am very interested to get B5 software however in my past experience with another signal provider, the problem is their signal is generated a few seconds after the price jump/drop, if I do not place the order within 1 to 2 seconds I will miss the best entry point. Does B5 have the same issue? How much time do you usually have from seeing the signal, verify it, to actually place the trade? From your video I do not see you rush at all, and it seems you place the trade 30 second or more after the signal is issued/verified. Can you comment on this? Hi Sean, you have about a minute to place the signal. This was one of my early concerns with Binary5 but it’s performed even when I’m a little slow on the trigger finger. I have time to walk to the computer, analyze the signal and place the trade in no rush. December 14th Live Trading Session is now up. I was hoping to get some Binary Today Trader signals in this one but I only traded for an hour. Let me know if you have any requests! Would love to see a trading session with binary today trader using the current strategy. It’s great to see how successful binary5 continues to be! I’ll see what I can put together Jon, thanks. Will you be trading much near Christmas, I plan on trading my break. I watched all three of your latest trade videos back to back and since I haven’t lost a trade. I hope it’s not just a coincidence. Thanks for the feedback Roz. That is an amazing idea and would help out ALOT! It’s nice to see someone achieving with BO I’m just about to start and have been amazed at the number of scams out there. I agree with everyone, do a smaller amount say $250.00 into $50,000.00 but include the live trade of each trade leading up to the $50,000.00 goal. In other words, send an email, when you are about to place a trade and send it to all us followers via our email address or Binary Today Home page. I definitely second that, Robert! My vote is for the $250 to $50,000. My reasoning is that it can be escalate regardless of the capital we have. Also, it would be nice to keep your monthly results, they are an inspiration, also, what about setting a very audacious goal, like one million dollars? I know the binary5 is Mac compatible, is it the binary Today Trader also Mac compatible? I am going to be buying both. My goal for 2017 is $200,000 or more. I am starting with about $5,000. Well done on achieving your goal early John, that’s fantastic! Given that I’m a new starter I think the $250 to $50K goal would be a masive help for people like me who are starting with a small deposit. Thanks Carrie, I’m getting a lot of good feedback on that suggestion. Good job John!! I agree with Carrie. Hi, I’m new to this BO, so a small $250 to $50k would be nice, help us all along with this. Set a new Goal, and get as many $250 accounts towards that €1m. What do you think? I think the $250 account to 50K would be great for all readers to see. Congratulations John a fantastic achievement. For your goal next year my vote would be to take a $250 to $50K as this would provide inspiration for people that you can take a small deposit and grow it, using the tools and strategies you find in Binary Today. Congratulations John! Very proud of your achievement.